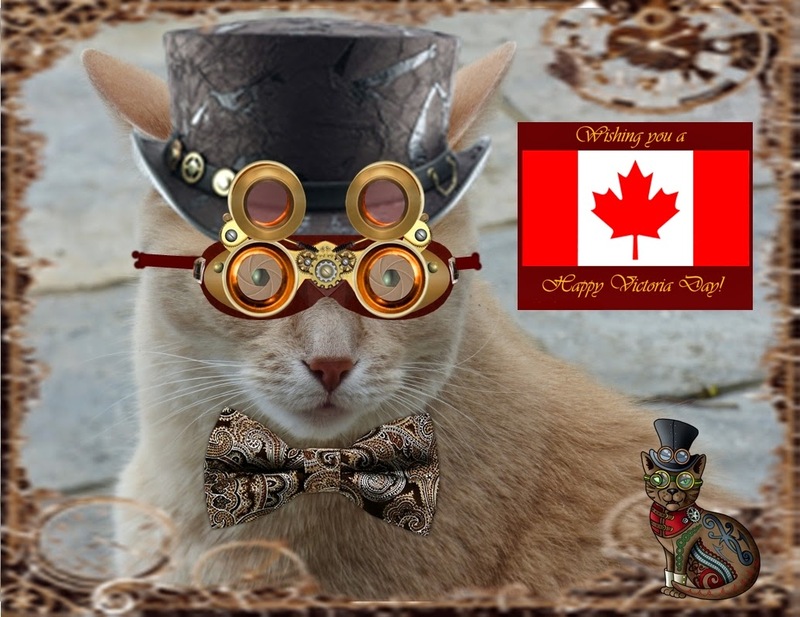 Wendy's 3-D Cats: VICTORIA DAY IN 3-D! 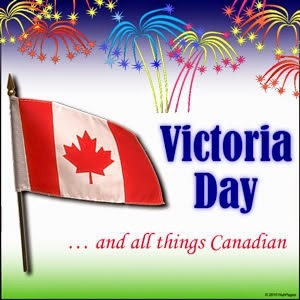 In Canada we still celebrate Queen Victoria's Birthday with a long weekend and lots of fireworks. 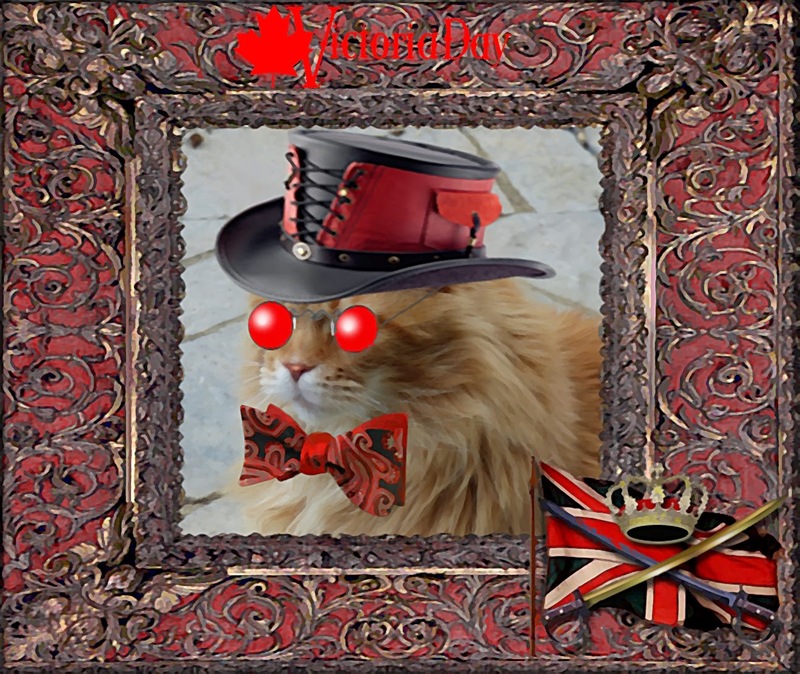 And, as a United Empire Loyalist I feel compelled to contribute to that celebration along with my 3-D Cats. Dante, Dylan and Domino just love dressing up in Victorian Steampunk fashion. Not only is it punky, but it's funky -- big time! Dante's painting himself, and the town red, tonight in this Steampunk version of Victorian dress. "Let me make dis cleer", says Dante. "I'm NOT wearin' a dress! I am sportin' sum rose-coloured glasses, howevah." Dylan's all agog in his Steampunk goggles and top hat. "I'm all geared up fur a great time tonight. 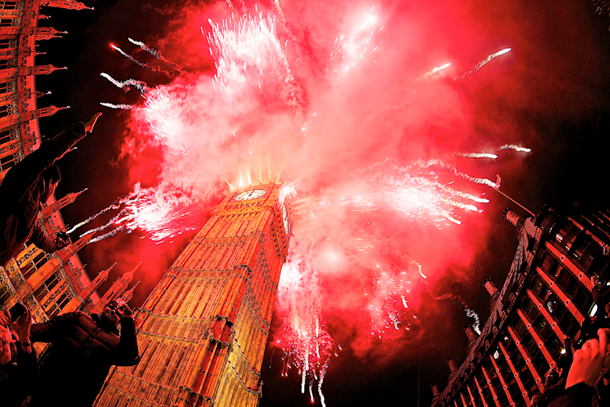 I jus' can't wait fur da exploshuns!" At least we don't have to worry about fireworks putting HIS eye out, do we? 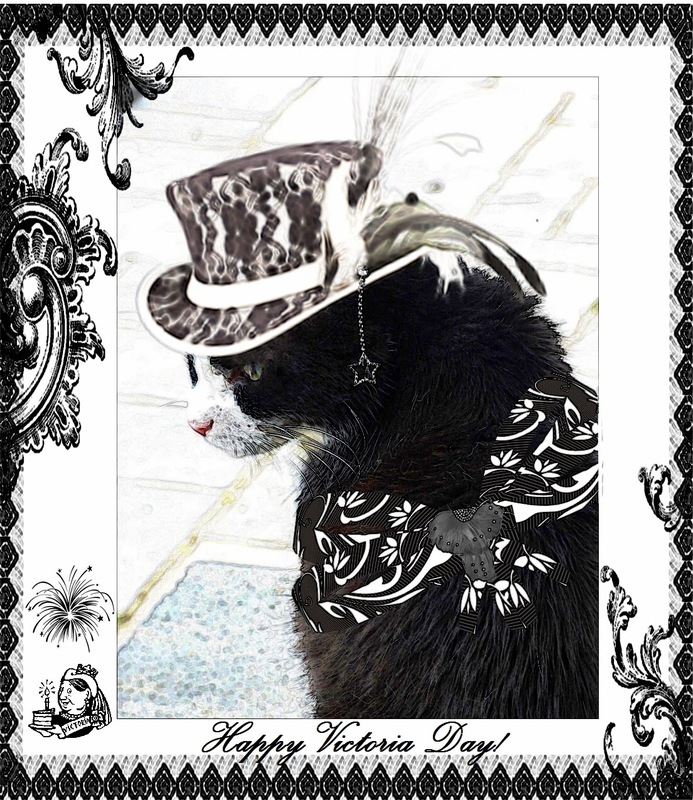 Domino is wearing offbeat Steampunk black and white with an updated Victorian flair. "Dis may be da day ta fly da colours, but I likes ta see fings in good ol' black an' white ('cept wen I'm watchin' TV acourse!)" I guess Domino will have to stay home 'cause there's gonna be fireworks in the old town tonight! We live in Ottawa, Ontario which is Canada's capital, so there's always a colourful display.